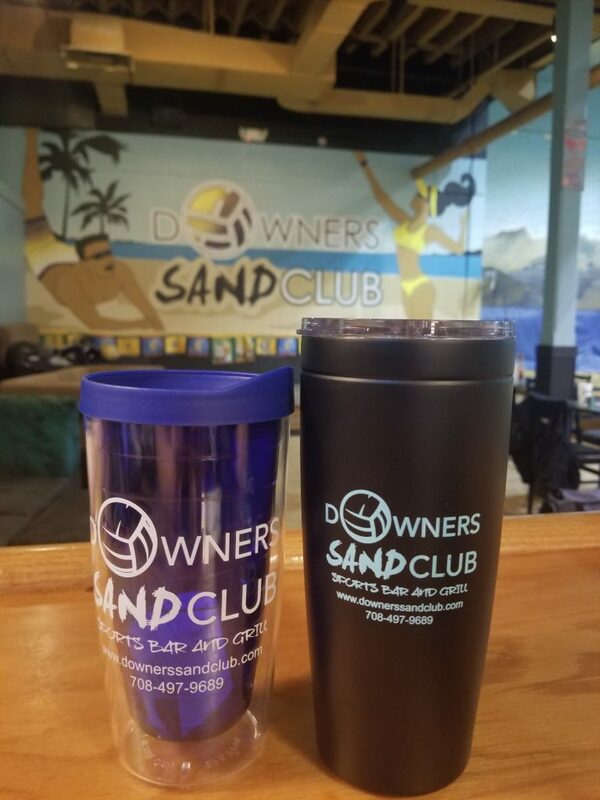 Downers Sand Club NOW offers various items to buy. We have Mens and Womens Tank tops to buy along with T-shirts. Finally we also have #DSC Mugs to buy. Please check everything out below to buy. If you want to buy these and have them shipped to you, please email us your request and we can get you a cost with shipping. Payments can be made by cash, credit card or quickpay zelle. BPA free Fits in most cup holders Hand wash recommended and not intended for microwave use Popular inner wall ribbed design Double wall insulated Great for hot and cold liquids Made of sturdy Tritan plastic, the Crusier is great for both hot and cold drinks. Double wall insulation means that hot drinks will stay warm longer and condensation will not be an issue for cold drinks. Hand wash only. Keep drinks hot for 5-½ hours or cold for up to 24 hours with the 20 oz Viking Tumbler. This stainless steel tumbler is equally capable of keeping your coffee scalding hot or your cold beverages on ice for hours. The Viking customizable stainless steel tumbler features copper lining, double wall insulation, and a drink-thru lid with a vacuum seal. Can be put in dishwasher. We are located at 1211 Butterfield Rd, Suite B, Downers Grove, Illinois 60515.